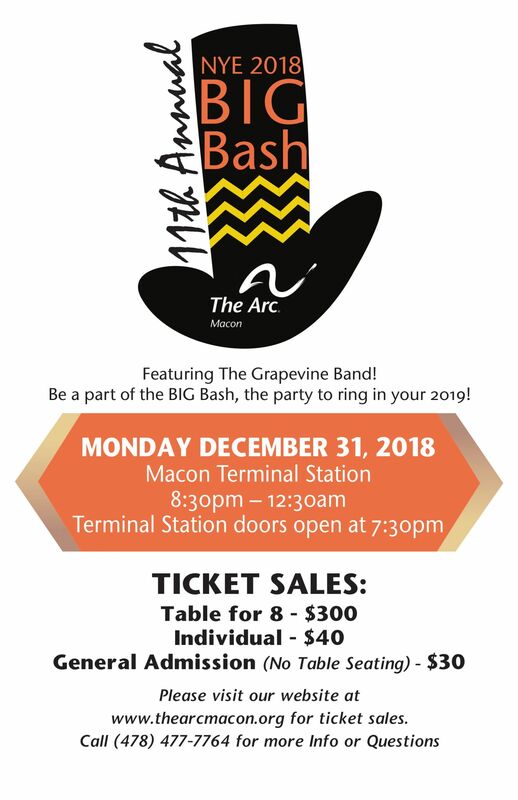 Back by popular demand, The Arc Macon proudly announces our New Year’s Eve Big Bash at Macon’s historic Terminal Station with Macon’s favorite party band, The Grapevine Band. Please join us for an evening of music, dancing, and a silent auction while supporting individuals served by The Arc Macon! This is a BYOB party, so feel free to bring your favorite drinks and snacks. We will have ice and cups available. Also, be sure to purchase your tickets early, as we expect to sell out again! The Terminal Station Doors open at 7:30pm. Party starts at 8:30pm! 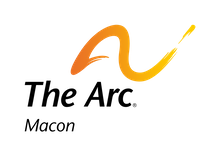 The Arc Macon is a non-profit organization dedicated to offering opportunity and preserving the dignity of developmentally disabled citizens in Central Georgia through choices of meaningful activities, jobs, and living options. All proceeds from this event will go toward upgrading our vehicle fleet, as many of our vehicles are over 10 years old and some have nearly 300,000 miles! Please help us ensure the safe transportation of those we serve by participating in this wonderful event!